After the success of Jio, Mukesh Ambani said this facility will be available from 2019. 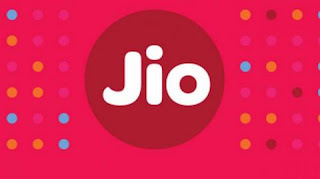 Reliance Industries Chairman Mukesh Ambani has announced several major announcements after creating a big deal in the telecom industry from Jio (Reliance Jio). He was speaking at the MobiCom 2018 held in Delhi. During this time, their focus was on data connectivity. He said that till 2019 India's 99.9% population will have high-speed data connectivity. He said that India's economy is in a strong position. Live is not a business but it is a digital campaign. India will lead the world in the next two decades. Today's India is very different from India tomorrow. Today's India is young. 63 percent of the population is under 35 years of age. India's huge tech-savvy young population is its strength. He said that everyone has a partnership in the development of India. Speaking at MobiCom 2018, he said that India is going to be strong in India in the next two decades. He said that there has been a phenomenal revolution in the telecom sector in India. PM is developing rapidly in the country under the leadership of Modi. Referring to the youth of India, he said that the country has the youngest population and this will help the country to move forward in the coming time. Mukesh Ambani said that by 2019, every Indian will have the power of data. There are all possibilities of business in India. Reliance Industries is also focusing on digitalizing many services. He said that there is a need to digitize agriculture and health facilities in the coming days. Due to the right policies, the country has made it easy to work towards digitizing. Speaking about taking part in the MobiCom Conference 2018, Ambani said that when Narayan Murthy called me to meet Rohan Murthy and asked MobiCom to become the keynote speaker in 2018, I happily agreed. I can say with confidence that there is a place in the world where new changes are being made every day with the help of digitization, then it is India.